Twenty-five years ago, John Prados surprised the gaming community with Monty’s D-Day, which looked at the D-Day operation from ONLY the British perspective. Now, after two decades of revising and rethinking, he offers the “other half” of the biggest story of WWII. Bradley’s D-Day looks at the American efforts all along the right flank of the Normandy landings. While Utah seemed relatively easy, it was there, at Omaha Beach, where the Germans came closest to derailing the greatest sea-borne invasion of all time. Behind both beaches, two famous airborne divisions were scattered all over the countryside, and fought by twos and twenties to accomplish a semblance of their missions. Call it the “Longest Two Days,” because that is the time-period covered in Bradley’s D-Day . Forty-eight hours of some of the most critical action in American history. The board shows the area from east of Bayeux to the middle of the Cotentin Peninsula just west of Pont l’Abbe. Along the north-south axis, the map includes the area of the Landing Beaches along the English Channel and halfway northwards of the western half of the Cotentin Peninsula to the southern boundary of Rubercy. The game includes over 300 counters, with mostly battalion and company-sized units. Hexes equal 800 meters. Turns are two hours of real time (four hours at night). And, something people really asked for in Monty’s D-Day comes to pass here, as Bradley’s D-Day includes rules and special tables for solitaire play. See what ATO means by "Campaign Study," with a separate 64 page booklet where every article is focused on the history behind the game. This companion study looks at the battle from all angles, with complete orders of battle and some fascinating insights into the real stories behind the battle– the intelligence build-up, the impact of the terrain and weather, air operations, support units, and deception efforts on both sides…all factors shaped the way things turned out. Better than a history book, you can read the articles and watch the action unfold before you on the game map. One key feature of the game is unit deployment. A unit can be deployed in one of two modes: Movement Mode allows for the greatest movement but the weakest combat (which is not to say those units can’t fight) and Combat Mode, which allows the strongest fighting abilities (but still some movement for most units). 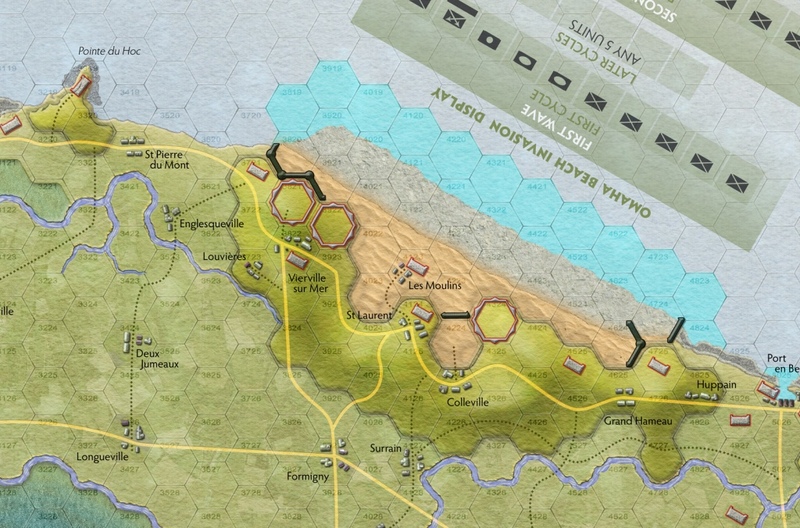 Bradley’s D-Day offers an intriguing scale, a moderate level of complexity, and an ease of play that will make this game either a fine addition to your Overlord collection, or a good first start for those who have not already focused on this campaign. We will start shipping this game in June 2011. Bonus Game Inside! : And yet it’s not quite true that everything in the issue is about the American D-Day battle. 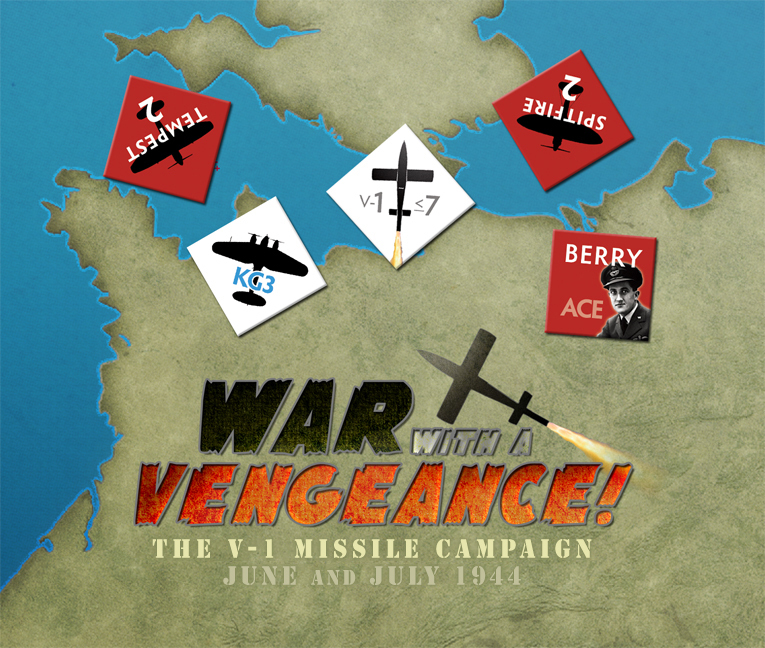 Also included is a bonus mini-game: War With a Vengeance!, that covers the two-month V-1 campaign which amounted to a “Second Battle of Britain.” Paul Rohrbaugh’s design pits an escalating level of British air defense against the world’s first “cruise missile,” the “doodle-bugs” that brought high explosives and Hitler’s efforts at “revenge” to southern England at 400 mph. The Allied player gets a variable collection of high performance fighters (including the first Allied jet - the Gloster Meteor) plus ground defenses and representation of the Royal Navy. The game system (acting as the German player) allocates V-1s per target and time of launch, aiming to fool and overwhelm the defenders, perhaps even completely disrupting the Normandy landings! Random events add chaos and surprises, while the Allied player can choose which path to follow - focusing entirely on stopping the V-1s or allocating resources to the D-Day beaches to speed up ground efforts to capture the launch sites. The choices are yours, in this tense little game with 100 counters and a full color, 17x 22” map. Not a subscriber yet? Sign up at the same time you order Bradley's D-Day below and take the subscriber's discounted price! Download additional articles and OB material for your Bradley's D-Day Campaign Study (in PDF format) here. Download the rules to Bradley's D-Day (in PDF format) here. Download the charts and tables to War With a Vengeance! (in PDF format) here. All items above require Adobe Acrobat Reader version 5 or later. Free download here.